Enjoy a complimentary food and wine pairing by Grape Creek Vineyards, 10587 East US Highway 290, and Cabernet Grill for this Wine Road 290 event! This will be a fun day to visit the winery and sample a delicious Kiolbassa culinary delight courtesy of the Cabernet Grill and some great Grape Creek Cabernet. Live Music on the patio as well! The winery is open from 10am-6pm. Kiolbassa will be available from 11am-3pm or until the food runs out. 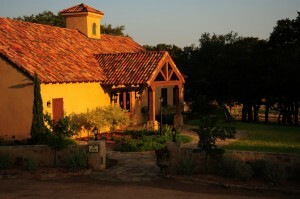 Also, be sure to join them for a complete wine tasting and one of their Cellar and Barrel Tasting tours.